Consider the early withdrawal penalty while shopping for a CD account and looking at credit union rates. The early withdrawal penalty is the price you pay for withdrawing your money before the maturity date of your certificate. A federal credit union will have a deposit agreement which will provide full details of the terms you accept when banking with the credit union. Learn more about the best credit union offerings and choose the right CD account. Headquartered in Dallas, Advancial has a history dating back 80 years and an A+ rating from the Better Business Bureau. Membership eligibility includes employees of its Select Employer Groups, along with those who live, work, worship or attend school in designated Louisiana parishes. Advancial offers a 1.32% APY CD rate for a three-month term with just a $1,000 minimum balance. In addition to CDs, the credit union is a full-service financial institution that offers a range of financial products and services. Potlatch is a member-owned, not-for-profit financial cooperative, with a history dating back to 1938. The credit union offers personal and business banking services and products, and high rates for eligible individuals who live, work, go to school or worship in 13 counties in Northern Idaho and Eastern Washington. Members can take advantage of financial literacy tools, calculators and the credit union’s P1FCU Scholarship Program. Potlatch has been accredited by the Better Business Bureau since 2015 and has an A+ rating and 14 branches. Minimum certificate balances are just $500 for certificates of six months or longer. Merrimack Valley Federal Credit Union began in 1955 as Communications Workers Employee Credit Union. In the 1990s, the credit union expanded membership to more than 200 employer groups. As of 2016, the credit union had more than $600 million in assets. People living in select towns in Massachusetts and New Hampshire can benefit from the very competitive rates offered by Merrimack Valley Credit Union. The credit union offers five branch locations and 24-hour banking online, so you can manage your CD at your convenience. Minimum balances for term lengths of one year or more are only $500; for terms of 91 days or six months, a minimum deposit of $1,000 is required. 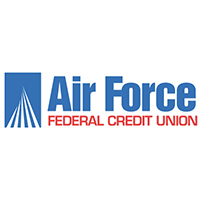 The Air Force FCU offers membership to a long list of service members and civilians. Members can use online banking services including bill pay and a mobile app. They also have access to insurance services and member rewards such as rate reductions. Share certificate choices include options ranging from six-month to seven-year terms and deposits as low as $1,000 to as much as $100,000. Members who invest in share certificates won’t have to pay any maintenance fees. Eligible individuals who live, work, worship or attend school in designated counties in West Virginia, Ohio, and South Carolina can open a share account with just a $5 deposit to become a member of the Bayer Heritage Federal Credit Union. Share certificates for Bayer Heritage are available for term lengths as short as three months or as long as five years, with a comparatively low minimum deposit requirement. Only employees and retirees of John Deere and their families are eligible to join Deere Employees Credit Union. Credit Union Membership requires an initial $25 deposit for a lifetime membership. The credit union is based in Moline, Ill., and offers investment and retirement services in addition to a full host of traditional, personal banking products and services. Share certificate options include terms that range from three to 60 months and APYs from 0.55 to 2.50%. Founded in 1952, the UKRFCU offers membership to a number of individuals, including employees and members of the Ukrainian Educational and Cultural Center in Jenkintown, Pa. including members of the Ukrainian Library, Ukrainian Heritage School students, and Svitlychka Nursery students, along with members of various churches in Pennsylvania. In addition to share certificates, the credit union offers checking, savings and money market accounts, plus mortgage, equity and auto loans. The minimum balance for all certificate accounts is just $500. This small credit union is open to those who live, work, worship, volunteer, or go to school in Idaho County, Idaho. Eligible parties can gain membership with a $25 initial deposit, then take advantage of checking accounts and various savings accounts. 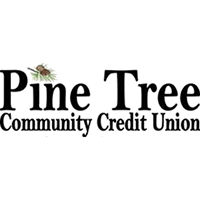 Pine Tree Community Credit Union offers loans for cars, equipment, real estate and more. It also features CD rates from 0.60% APY on a three-month term to 2.12% on a 60-month term. 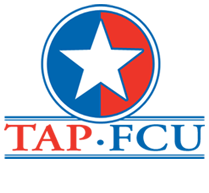 TAP FCU is based in San Antonio and offers membership to eligible parties including realtors, builders and independent insurance agents and their employees and immediate families. Members can take advantage of deposit accounts and loan services and manage their accounts with online banking. The minimum certificate amount is $500 with dividends compounded monthly. Terms as short as three months to as long as two years are available. 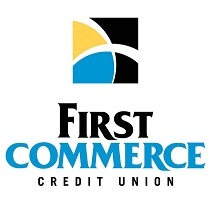 First Commerce Credit Union membership is open to residents and employees in certain counties in Florida and Georgia. Members are privy to a full range of banking products and services, including various checking and savings account options, plus loans and credit offerings. Online and mobile banking are available, too. Savers can invest in CDs with as little as $1,000 or as much as $1 million, for as short as 91 days or as long as four years. CD options include traditional accounts, IRAs and junior accounts. When looking for the best cd rates or highest CD rates, keep in mind that five-year CD rates will be more competitive than one-year CD rates. Many credit unions offer membership to immediate family members of eligible members. A certificate of deposit can be a small, low-risk investment if you are eligible to join a credit union based in your industry or area of residence or employment. Rates are accurate as of Sept. 27, 2017. Civilians can still access military credit unions' great rates.